This collection of interviews with and articles by Robert McCammon comes from various sources and ranges over the years from 1981 to the present. An interview by Luzifer Verlag, the German publisher of Speaks the Nightbird. An article/interview by Alex Harvey. 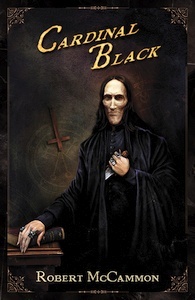 An interview by Gwenda Bond at Subterranean Press. Bulgarian interview by Diana Georgieva. Read it in Bulgarian here. Interview by Kealan Patrick Burke about The River of Souls. Audio interview by Gregory Hall, June 28, 2013. Interview by Lisa Morton, June 2013. 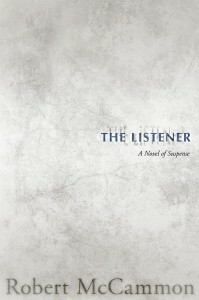 Audio interview by Rick Kleffel, The Agony Column, March 2013. Interview by Bryann Aguilar, Out of Reality blog, December 29, 2012. Interview by Elitist Book Reviews, August 8, 2012. Robert McCammon is interviewed by GraphicAudio’s Nanette Savard, director of the GraphicAudio production of The Wolf’s Hour.Audio interview. Interview by Charles Tan, SFsignal.com, May 15, 2012. New interview conducted by Lou Pendergrast for More 2 Read. Italian website interview by Arianna and Selena Mannella, twin Italian journalists. An English version of the interview can be found here. Newspaper article/interview by David Lazenby. Audio interview by Greg Hall. You can download the interview from here. Interview by Hunter Goatley in PDF format.Click here to read the interview if you don’t have a PDF viewer installed. Audio interview by Mark Justice. 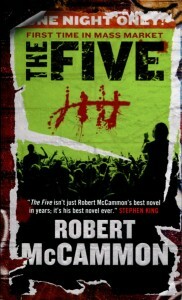 Russian fans interview Robert McCammon. Translated by M. Parfenov. “The Man of Mystery,” by Ali Karim.A 4-part interview/article/review. Audio Interview by Mark Justice.The link above is just the McCammon interview. The entire podcast can be downloaded from the HorrorWorld site. Audio Interview by David English.Posted on LeisureTalk.net on 10-DEC-2007. Interview by Hunter Goatley, October 15, 2007.Posted on the Robert McCammon website on 26-NOV-2007. Interview by Alec Harvey, November 9, 2007.Published in The Birmingham News, November 9, 2007. Interview by Julie A. Pierce and Rowdy Rhodes for Inkwell Newswatch, a monthly online publication by the Freelance Writing Organization – International, May 2007. Interview by Hunter Goatley, January 27, 2005. Interview by Shawn Ryan, October 2002. Originally published in the Birmingham Post-Herald newspaper on October 7, 2002. Interview by Stefan Dziemianowicz, Summer 2002. Originally published in the August 5, 2002 issue of Publishers Weekly. Interview by Hunter Goatley, January 23, 2002. Interview by Roger Smith, 1981. Originally published in State of Shock, issues 7 and 8, 1981. This is the earliest McCammon interview the webmaster has been able to find so far. Originally published in The Birmingham News, June 9, 1983, page D1. Written by News staff writer Carl Carter. The article announcing the formation of H.O.W.L (later HWA).Originally published in Publishers Weekly, in the Summer of 1983. Interview conducted by William J. Grabowski, 1985.Originally published in The Horror Show, Summer 1985. Interview conducted by Joe R. Lansdale, 1986. Originally published in The Twilight Zone Magazine, October 1986. Originally published in Our Glass, the newsletter of the HWA, in Issue 1, July 1986. Interview by Joe Lansdale, 1987. Originally published in Mystery Scene, January 1987. Interview conducted by William J. Grabowski, 1987.Originally published in The Horror Show, Spring 1987. Interview by J.R. Taylor, 1987. Originally published in I Cover The War, October 1987. Interview by Rodney Labbe, 1987. Originally published in Footsteps, number 8, November 1987. Interview by Shawn Ryan, 1988. Originally published in The Birmingham News, March 13, 1988. Interview by James Kisner, 1988. Originally published in Mystery Scene, March/april 1988. Interview by J.R. Taylor, 1988. Originally published in I Cover The War, October 1988. Interview by Jodi Strissel, 1988. Originally published in Castle Rock, November 1988. Interview by William G. Raley, 1989. Originally published in After Hours, Winter 1989. Interview conducted on January 28, 1989, by Hunter Goatley. Originally published in Lights Out! Vol. 1 No. 1, July 1989. Interview by Matt Adler, 1989. Originally published in How to Write Horror and Get It Published, October 1989. Interview conducted by Steve Spignesi, October 1989?.Originally published in The Shape Under the Sheet: The Stephen King Encyclopedia, 1991. Interview conducted by Stanley Wiater.Originally published in Dark Dreamers: Conversations with the Masters of Horror, Avon Books, 1990. Interview with Robert R. McCammon and Joe R. Lansdale. Conducted in October 1989 by Hunter Goatley.Originally published in Lights Out! Vol. 1 No. 4, June 1990. Interview by George Smith.Originally published in The Morning Call, Allentown, PA, June 8, 1990. Can also be read on The Morning Call website. Open letter written by Robert McCammon for the February 1991 issue of Lights Out! Interview conducted by Sam Skaggs.Originally published in Publishers Weekly, August 2, 1991. Interview by T. Liam McDonald.Originally published in Super Crown Book News, August 1991. Interview conducted on August 31, 1991, by Hunter Goatley. Originally published in Lights Out! Vol. 2 No. 2, October 1991. Interview conducted on January 6, 1997, by Hunter Goatley. Exclusive to the online Lights Out! pages! Open letter written in December 1998 by Robert McCammon. Interview conducted by Robert McCammon on November 3, 1990. First appeared in Lights Out! Vol. 1 No. 3, January 1990. First appeared in Lights Out! Vol. 2 No. 1, January 1991.New!!! The original, unexpurgated audio for this interview can be heard here. Interview with Kazue Tanaka, who translated several McCammon stories to Japanese. Conducted by Robert R. McCammon in October 1990. First appeared in Lights Out! Vol. 2 No. 1, January 1991. Surrey International Writers’ Conference, October 23, 2009. Featuring Robert McCammon, Michael Slade, Robert J. Sawyer, Terry Brooks, Diana Gabaldon, Anne Perry, Robert Dugoni, and Donald Maass. Continuity 1990, Birmingham, AL, February 10, 1990. Featuring Robert R. McCammon and Jennifer Roberson. 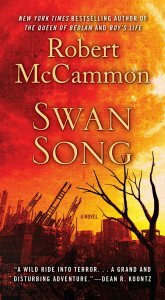 An essay by Athena Workman about Robert McCammon’s appearance at the 2002 Southern Festival of Books in 2002. It includes tidbits of information from the Q&A session during his presentation.